These ideas of our unity have permeated all our diverse darshanas. 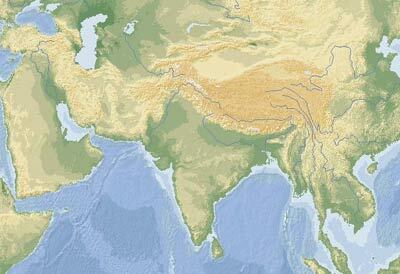 We have talked about Bhakti and Vedanta and the epics of the Ramayana and the Mahabharata. But this idea of unity was not limited to particular schools. They were equally present in the tantric schools that exerted a tremendous influence on popular worship. 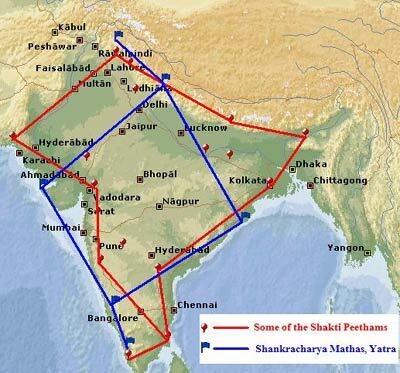 Thus we have the legend of Shakti, whose body was carried by Shiva and cut up by Vishnu, landing in 51 places throughout the landmass of India that are now the site of the Shakti Peetham temples. The body of Shakti, or so the story goes, fell all the way from Neelayadakshi Kovil in Tamil Nadu to Vaishno Devi in Jammu, from Pavagadh in Gujarat to the Kamakshi temple in Assam and 47 other places.